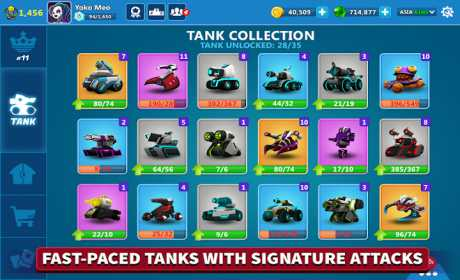 Tank Raid Online – a new and unique mini MOBA has come to Play Store! – 3v3 Galaxy Football: capture the crystal ball from the center of the map, holding and “shooting” it to opposing team’s goal while fighting with them. A game of true football competitive style! 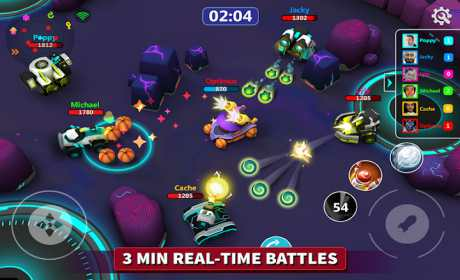 – 3v3 Team Death-match: Gain scores for your team by eliminating opponents, fight to absorb the ultimate power of the galaxy stone which appears at last 1 minute of the battle. The team with most scores at the end of the match wins! – 1v4 Solo Death-match: 5 players battle in a round arena on Galaxy. 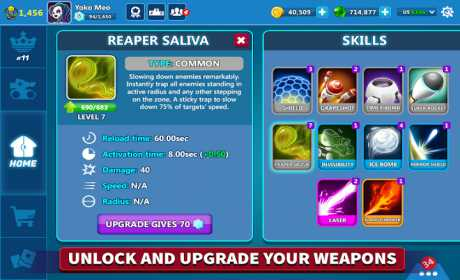 Upgrade your tank’s damage and HP by 10% in the middle of the fight by owning the galaxy stone or stealing it from others. The player with most kills wins. – Be creative as much as you want with your tactics: more than 20 tanks, each with signature attack and unique skill, together with 15 cool weapons (and more to come). – Free to win: equal chance to win and equal access to all in-game elements for everyone. Collect cards to upgrade your favorite tanks and skills. Compete for higher ranking in your country and world leaderboards. Play it now and be the star of all galaxy battles!